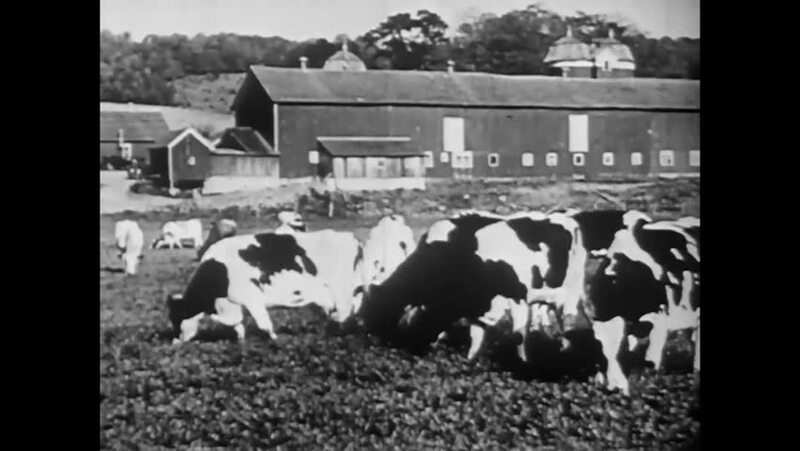 CIRCA 1920 - Cows graze at a dairy farm. hd00:23FINLAND 1940s: People herding reindeer / Man pulls reindeer on leash / Man pulls reindeer on leash / Man struggles with reindeer. hd01:47CIRCA - 1910s - On April 6th, 1917 President Woodrow Wilson declared war on Germany and began recruiting soldiers to the American Army. hd00:32CIRCA 1940s - Troops train for World War Two in this 1943 film. hd01:14CIRCA 1919 - AEF soldiers use motor trucks to help put down wood flooring on a muddy road. hd01:20CIRCA 1945 - American airmen work on Ie Shima Airfield. hd00:49CIRCA 1919 - A camera on the back of a moving vehicles films men of the 3rd Division running a cross country race in wintertime.